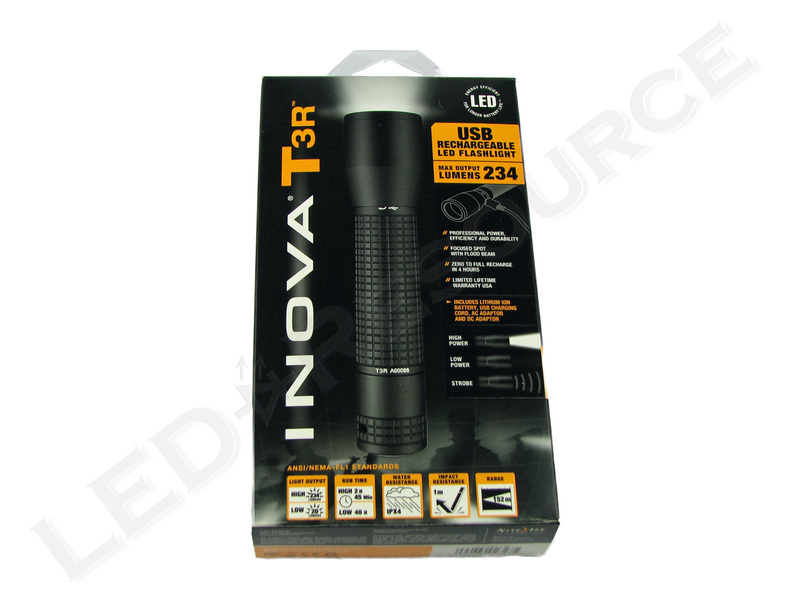 There was a time when rechargeable USB flashlights weren’t much more than a gimmick, offering little in the way of performance or reliability, but that is changing with the introduction of lights such as the Inova T3R. Designed to accommodate the needs of law enforcement, the T3R is a rechargeable, multi-mode, tactical flashlight which provides users with a number of charging options. 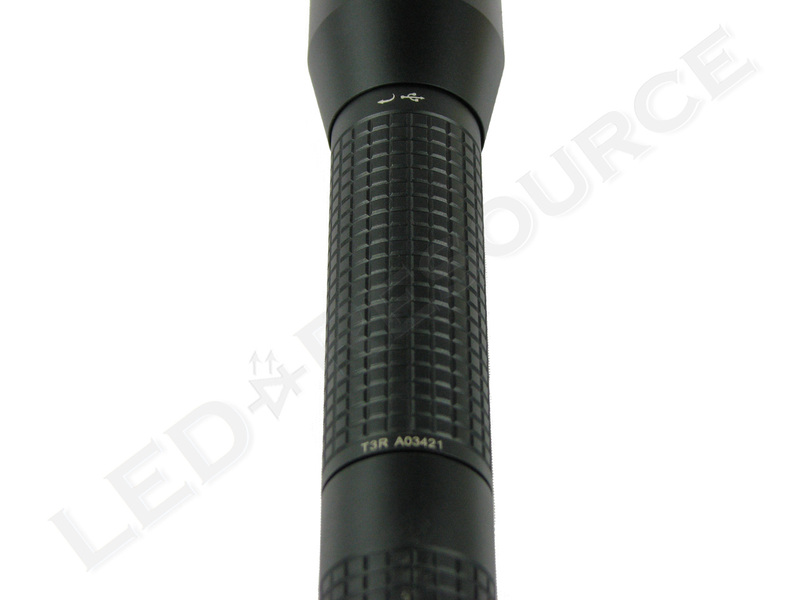 Rated to produce 234 lumens in high mode, the T3R also has a 20 lumen lower-output mode as well as a built-in strobe function, all accessible from the tactical tail cap switch. Weight with Batteries: 6.8 oz. 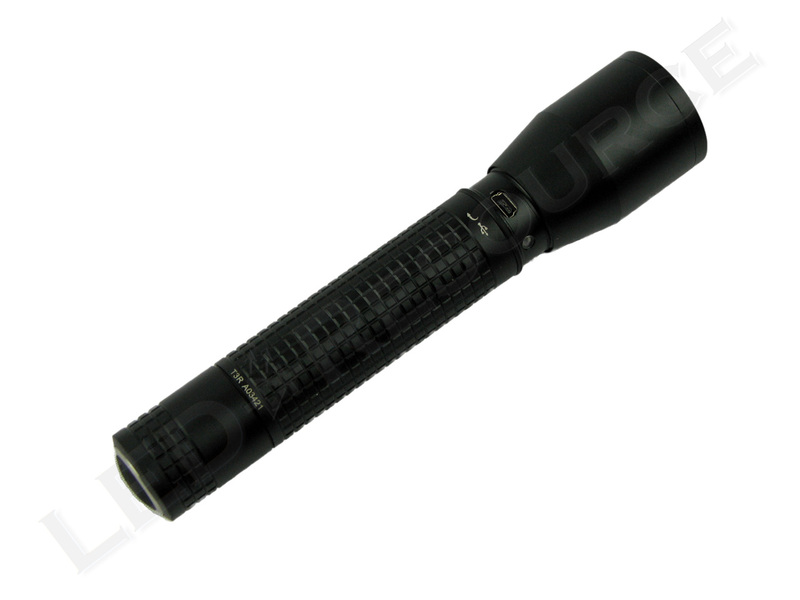 Available only in black with a MSRP of $119.99, the T3R is available from retailers for around $100. 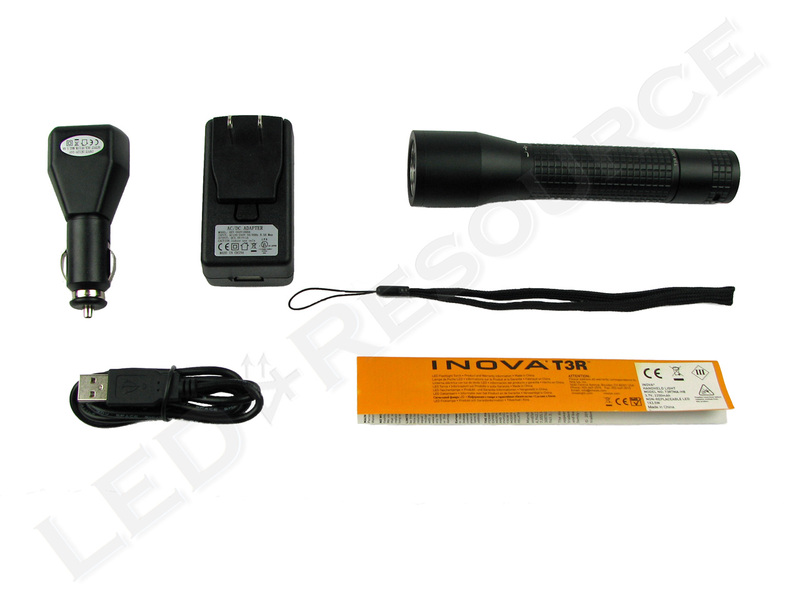 Numerous optional accessories are also available, ranging from signal cones to additional batteries and charging accessories. Packaged in a cardboard retail box, the T3R comes equipped with an assortment of standard accessories, including the following: Inova T3R flashlight, Lithium-Ion rechargeable battery, AC adapter, 12VDC car adapter, Mini USB charging cable, and lanyard. For power, the T3R utilizes a proprietary rechargeable Lithium-Ion battery which has a rated capacity of 2200mAh and can be recharged hundreds of times. 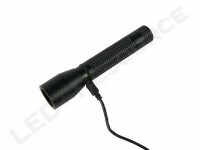 The battery can be recharged at any time, without having to wait for it to fully discharge. 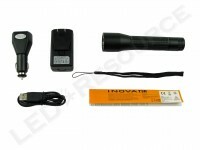 All charging circuitry is housed within the flashlight body with a standard mini USB connector used to connect to any 1A 5V USB output found on the included adapters, a computer, or a solar panel. The use of a standardized connector and power source provides users with numerous charging options. While in normal use the charging port is concealed and protected by the bottom portion of the bezel with an O-ring seal to protect the port. To charge the light, the bezel is twisted counterclockwise several turns to expose the charging port and allowing connection of the mini USB charging cable. 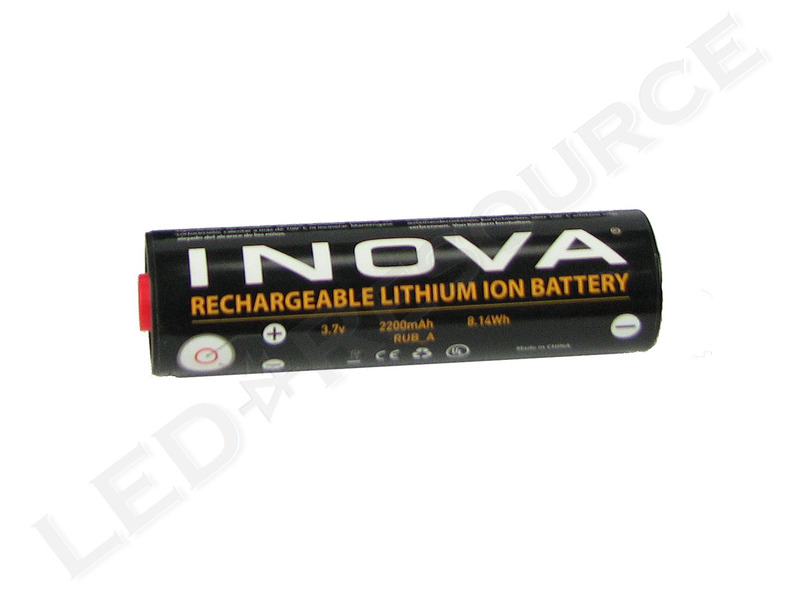 Charging status is indicated by a colored LED – red while charging and green when fully charged. A full charge requires about 3 hours. 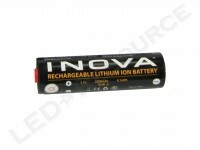 Spare batteries are available from the manufacturer with a MSRP of $19.99 each. 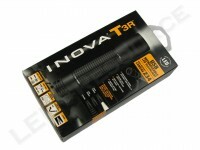 As with other Inova handheld lights, the T3R has a smooth minimalist design with very little in the way of markings. The impact resistant head features a mineral glass optical window which has double-sided anti-reflective coating. Housed behind the window is the machined aluminum reflector and LED. 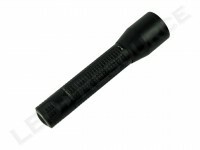 The body is machined from solid bar stock with a hard anodized black finish to resist wear and corrosion. 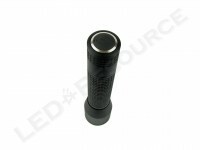 The finish is smooth and even, with no defects or blemishes observed. 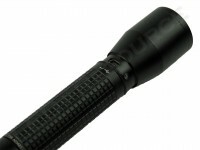 The entire body is machined with a checkered pattern to provide additional grip. The same solid construction carries over to the tail cap which houses the click-type switch to control the T3R. A lanyard attachment point is provided on the side of the tail cap. A brass button is used at the base of the tail cap, instead of a spring, to reduce wear on the negative terminal of the rechargeable battery. 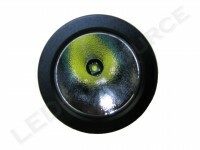 Threads are also anodized on both the tail cap and the body for improved wear resistance. 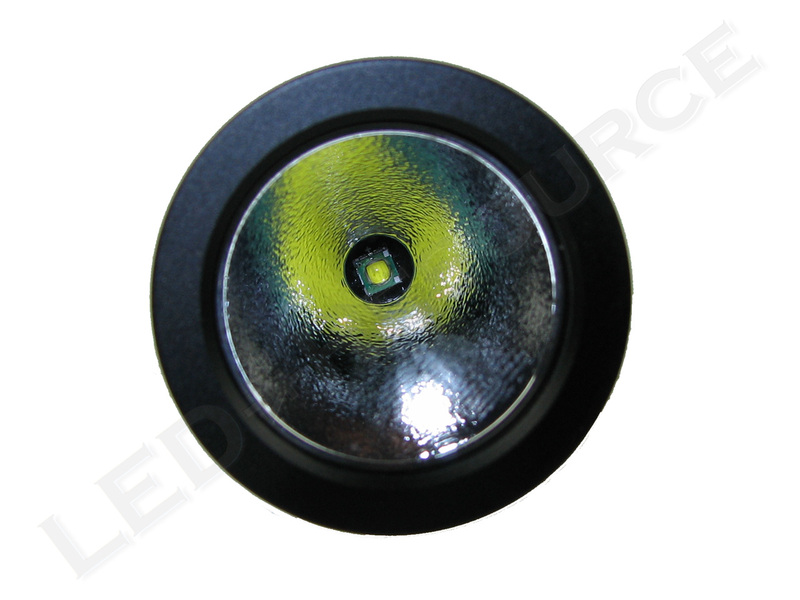 The light can be completely locked out, to prevent accidental activation, by unscrewing the tail cap just over one-quarter turn. Three operating modes are accessible from the tail cap switch. In any of the three modes, momentary operation is possible with a partial press of the switch and constant-on operation by a full press, and click, of the switch. 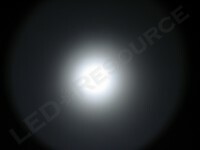 Two presses of the switch, full or partial, within 3 seconds will activate the 20 lumen low mode. Partially pressing the switch and then rapidly releasing and pressing it again will activate the full output strobe mode. 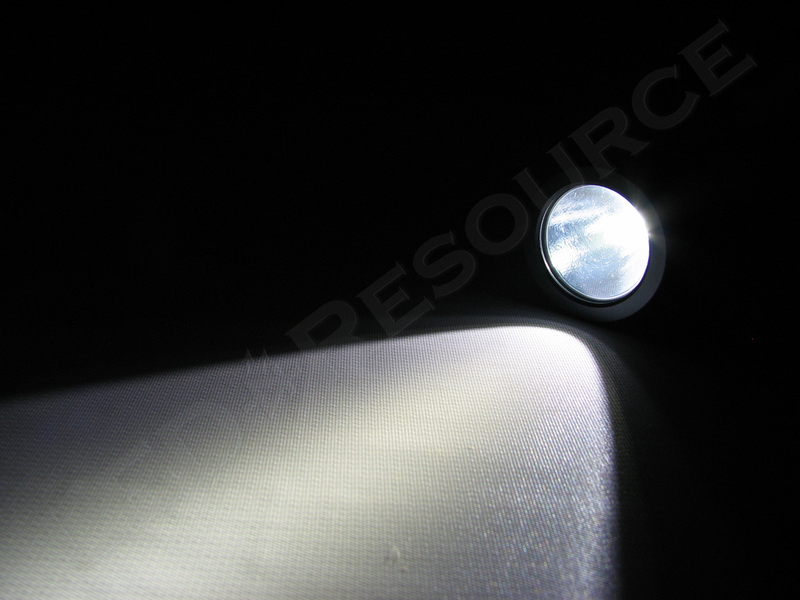 Utilizing a Cree XP-G emitter and textured reflector, the T3R produces a smooth and balanced beam with a focused spot surrounded by a wide spill beam. The beam is uniformly white in appearance with a very slight cool tint. 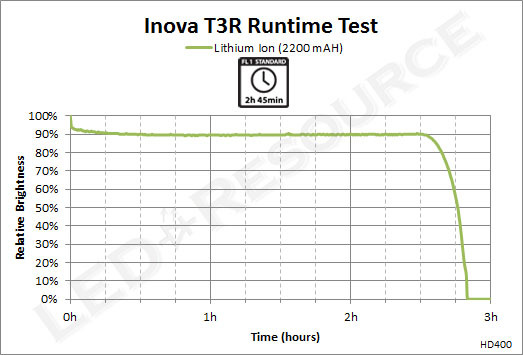 Inova rates the T3R as having 2 hours 45 minutes of runtime according to the ANSI FL-1 testing standard. This rating was confirmed during the review with the T3R maintaining very stable output for over 2.5 hours before beginning to decline as the battery was depleted. 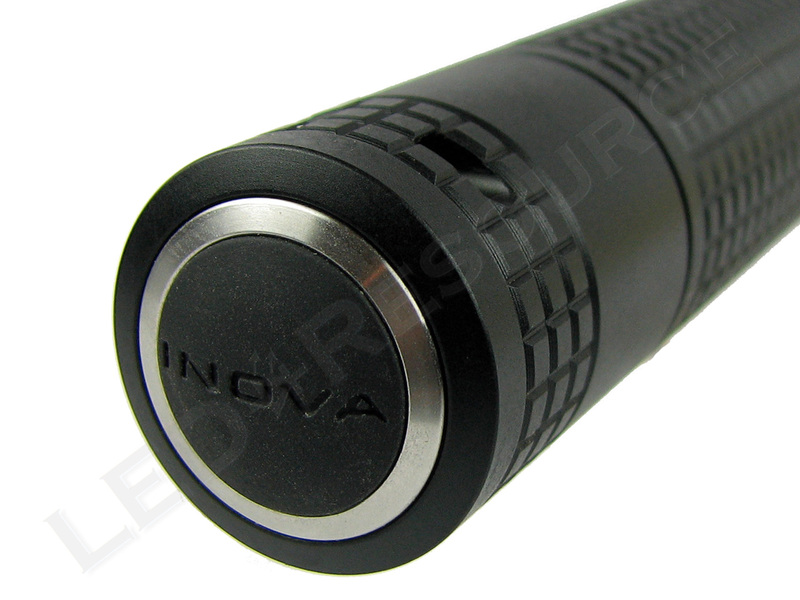 The Inova T3R is a nice looking light and feels very substantial in hand, almost like the solid bar stock it is made from. 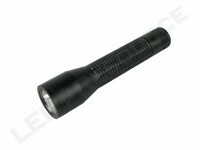 Construction is top-notch and all components fit together nicely with absolutely no rattles from the head, tail cap, or battery, even under hard use. The threaded portions of the light, at the head and tail, feel precise and seem ready to provide years of service. Often it is the little things that make a difference, such as the use of the brass contact in the tail cap instead of the traditional spring which could scratch the end of the battery over time. Another example is the decision to utilize a standard mini USB connection for recharging the T3R’s battery. With the abundance of USB devices in use today, there is no shortage of available power sources – at home, in the car, or on the road – and in the event the cable is damaged, there will be very little downtime as it is easy to find a temporary replacement by borrowing a cable from another electronic device. A stark difference when compared to products which use proprietary cords and chargers. 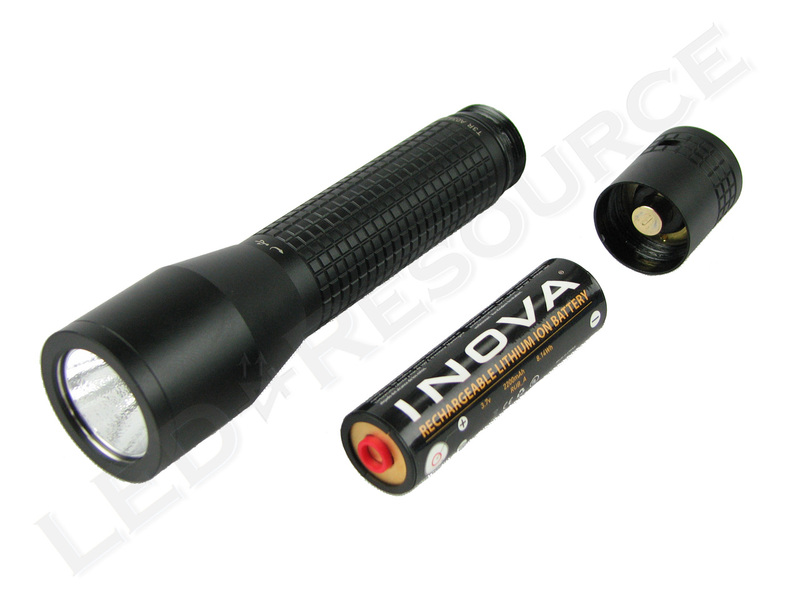 The ability to purchase additional batteries allows users to have “ready spares” for use when extended runtime is required. However, as with many rechargeable lights, these batteries can only be charged while in the light. A separate external charger, if available, would be useful for this purpose. 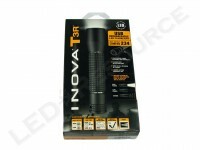 With a design focused on efficiency and economy, at the expense of sheer output, the Inova T3R doesn’t have the gaudy specs of some higher powered and much more expensive lights. 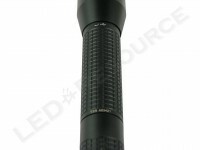 Even so, with the ability to provide 234 lumens of output for nearly 3 hours, the T3R is an extremely capable and rugged light available at an affordable price. Hello Erik, I agree with you, the T3R is a very nice light. It is not designed to work with primary 123A cells and I would not recommend trying that. 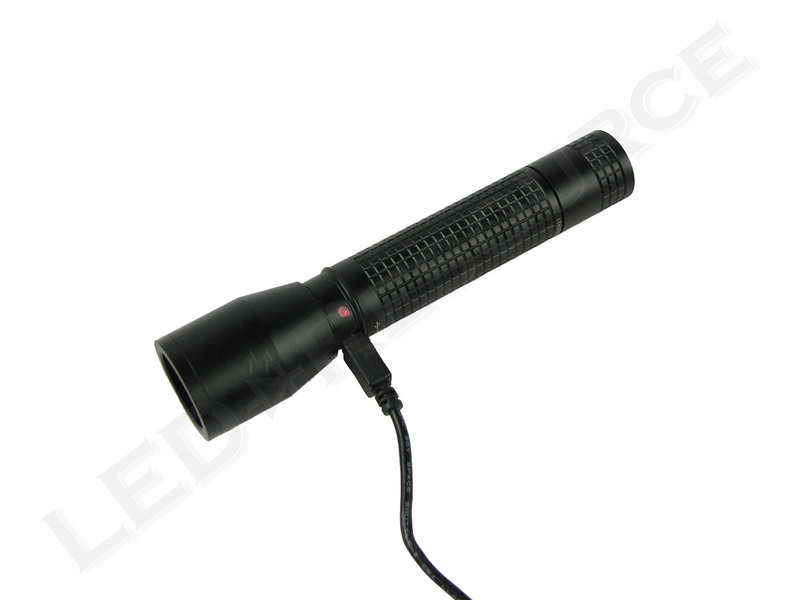 Voltage is one issue, as you mentioned, and also the 123A batteries do not have an insulating collar around their positive terminal which could cause a short between the dual springs in the T3R head. Will the Inova T1 or T2 be able to maintain a very stable output? What is the actual runtime on those? I own the X2 (2xAA version) and am impressed with its runtime of two hours++ compared to what they claim of just 1h 15min. Very few flashlights maintain such a stable output and have runtimes exceeding what the packaging claims.